There is a present plenitude of beauty supplements these days and with scores of recommendations it becomes difficult to tell the signal from the noise. Fear not, there are indeed supplements that can take years off your appearance, but more importantly the supplements that make you look more vibrant are also those that make you more vigorous. If you want to feel healthier and fitter, read on. Aside from regularly using sunscreen, you can protect yourself from harmful UV rays by taking a potent antioxidant supplement such as Heliocare. 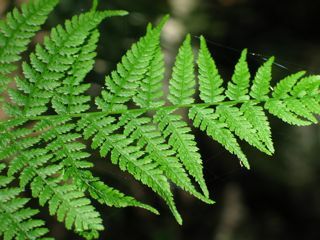 Research from the University of Miami School of Medicine indicates that the fern extract in these pills significantly reduced UVA-related DNA damage that leads to wrinkling and brown spots by up to 80%. For best results, pop one each day starting a week before you plan on fun in the sun. “This allows the antioxidants to build up in your system for maximum protection,” says Leslie Baumann, MD, a Miami Beach-based dermatologist and sunburn specialist. A daily 2.5 mg dose of the B vitamin biotin in good for swimmers or in the summer months when you’re in the water more often. “This supplement helps prevent breakage from too much exposure to salt and chlorine,” says Jin Soon Choi, owner of Jin Soon Natural Hand and Foot Spas. Research shows that a daily dose of the nutrient increases nail thickness by 25%, making nails less apt to split and tear. It may be hard to pronounce, but idebenone (eh-DE-be-known) spells younger-looking skin. The antioxidant is small enough to penetrate deep into skin to repair damaged cells, says David McDaniel, MD, an assistant professor of clinical dermatology at Eastern Virginia Medical School. Taken daily, Idebenone defends your skin’s health from the inside out. I started taking it, but not for my skin. Apparently it’s a potent catalyst of mitochondrial energy production. Who doesn’t need more energy? “Consider supplementing with gamma-linolenic acid (GLA), a fat that helps promote healthy skin, hair, and nails and is very hard to come by in the diet,” says Prevention advisor Andrew Weil, MD, clinical professor of medicine at the University of Arizona. “The best sources of GLA are evening primrose oil and black currant oil; take 500 mg of either twice a day and expect to use them for 6 to 8 weeks before you see results.” GLA is the central component of skin lipids, without it your skin will be wan and saggy. “Omega-3 fatty acids are also important for nail health,” says Weil. “Eat a few more weekly servings of omega-rich flaxseed, walnuts, and oily, cold-water fish like salmon, mackerel, and sardines, or take daily supplements with 2 to 3 g of fish oil to get a combined 1 g of EPA and DHA.” I love throwing flaxseed in my juice or oatmeal. There are many creative ways to incorporate legumes with good omega fatty acids. The idea that a biomarine-based complex can shore up aging skin may sound a little fishy, but the evidence is impressive, says Baumann. Postmenopausal women taking the supplement (which is recommended for those age 50 and up) saw significant improvement in skin firmness and smoothness in a 6-month study in the European Journal of Clinical Nutrition—and the results were seen on the face, d’colletage, and hands. Likewise, in a similar 12-week study on women taking a sister supplement (Imedeen Time Perfection, suggested for women 35 to 50), skin’s moisture content increased by 30%. Other changes include a visible reduction in fine lines, a fading of sunspots, and an overall brighter complexion. The contents of the Imedeen capsules—which contain a proprietary protein derived from a deep-sea fish and high concentrations of antioxidants such as vitamin C and lycopene—work in part by increasing production of collagen and elastin, as well as hyaluronic acid, the body’s natural moisturizer, says Imedeen’s Lars Lindmark, PhD. Take the Imedeen supplement suggested for your age, advises Baumann, who uses Time Perfection herself and recommends it to patients. Although a 90-day supply of Prime Renewal ($265) is significantly more expensive than Time Perfection ($195; both at imedeen.us), the dosage supplies twice the amount of the biomarine complex.